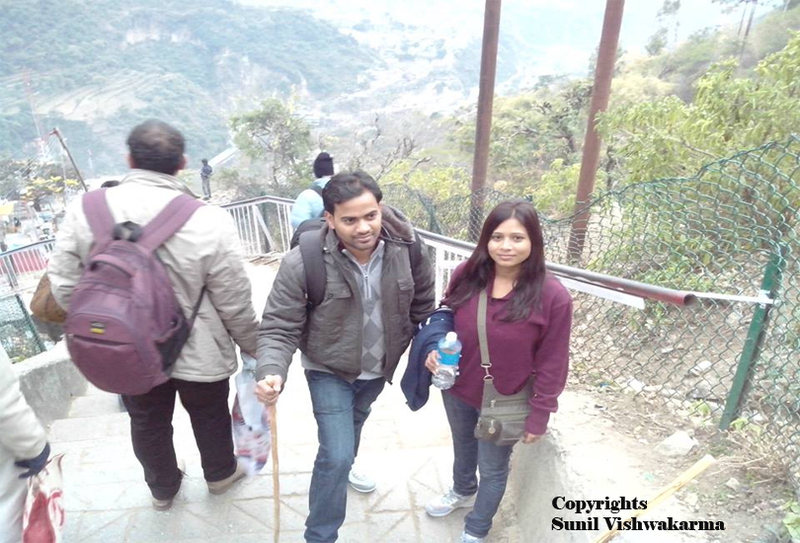 Welcome to Traveling To World: The Smooth way to World Discovery > India > This Navratri Festival Make Way to Vaishno Devi. Jai Mata Di! The Navratri festival is the most revered festivals of the Hindus who worship Goddess Shakti for nine days and go on fasting. These nine days, the nine forms of the Goddess are worshipped and there is Puja every morning, dedicating flowers and fruits to the Goddess. Such is the reverence of Hindus Gods and Goddesses. The Goddess is believed to have manifested herself in the form of a stone and resides in Vaishno Devi, the most significant pilgrimage place among the devotees. Every year, millions of tourists board the Delhi to Katra train and make way to Vaishno Devi in Jammu, to worship the Goddess and lead a path of spirituality. Katra serves as the base camp for the path leading to Vaishno Devi temple and the journey of 14 km to the temple starts at this place. 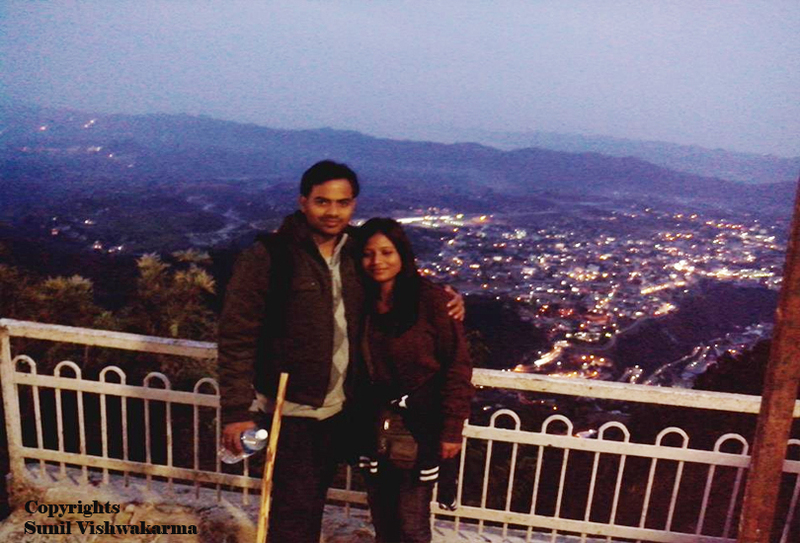 Katra is a popular tourist destination for these reasons and is a one-stop arrival point for all devotees. 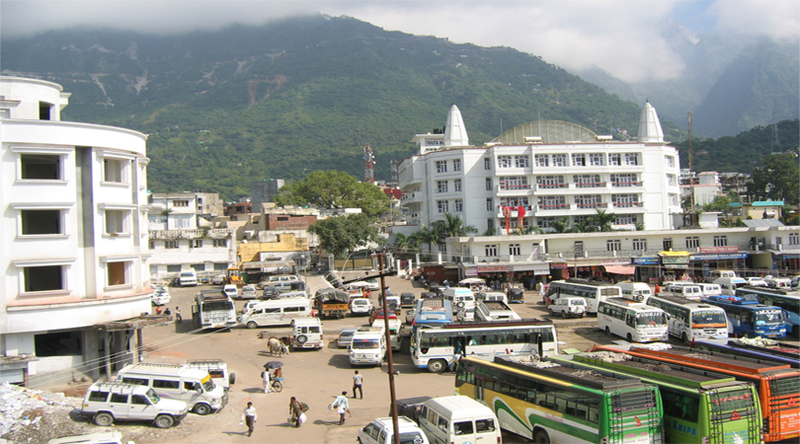 As a result the trains and buses stop at Katra, from where the pilgrimage, which is mostly ascended on foot, begins. The railway station at Katra remains flocked up throughout the year by the devotees. From various cities trains to Katra can be availed. The most prominent one being Delhi. Delhi to Katra train is the most preferred by tourists, who often visit the capital city first, and then go to Katra. Usually the devotees transcend the entire journey on foot, some staunch devotees often do it in bare feet. It is believed that Mata Rani gives them divine powers to ascend the steep path on foot. They move ahead saying, Jai Mata Di and other spiritual slogans to inspire the fellow devotees to move ahead. There is a plethora of shops nestled along the sides of the path, selling Puja material, water, eatables, Mata idols are photos and many more things. For people who can not ascend on foot, other facilities are available, like horse rides and palanquins. For the baggage or babies, there are men who carry them along with you (called pittheus). Nowadays the helicopter service has also started, but you need to prebook them to avail the service. They stop at Sanjhi Chhat. You can enjoy the scenic views of Jammu, covered with immense greenery of pine and oak. 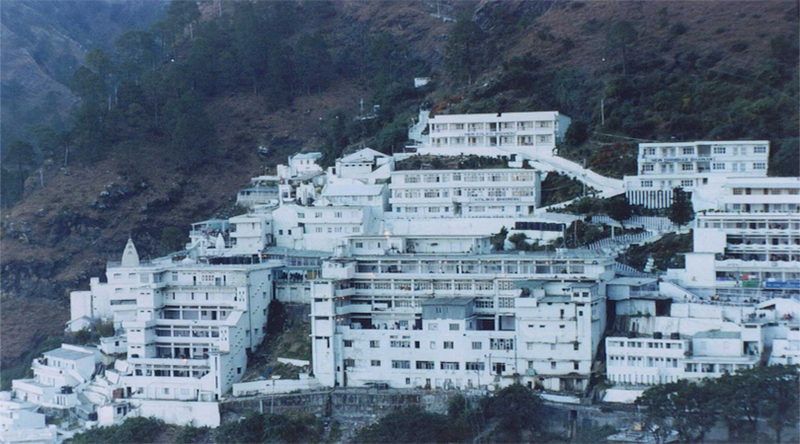 The Vaishno Devi shrine resides three stones, which are believed to be the manifestation of Goddess Kali, Saraswati and Shakti. 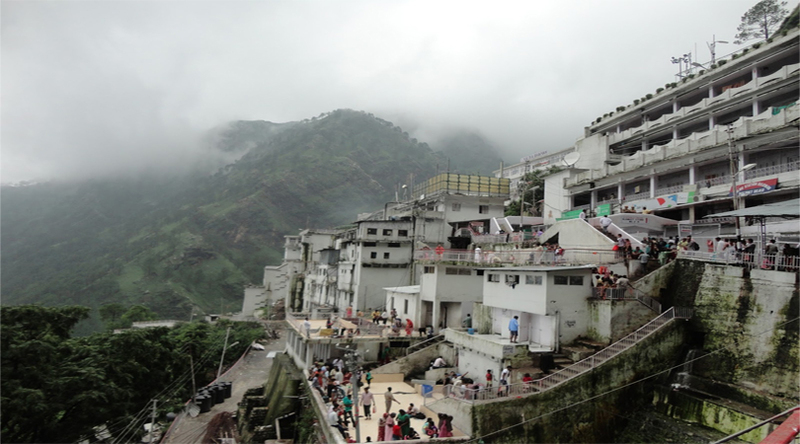 Thousands of devotees visit here to pray to the Goddess and seek her blessings. There is arti which takes place in the morning and evenings, to attend which you need to book in advance. During the Navratri festival special arrangements take place, where the Goddess is elegantly decorated and the entire aura perks up with spirituality and life. So, make your Navratras holy and spiritual with a pious visit to Vaishno Devi, one of the holiest places to visit in Katra. This is the perfect time and opportunity to take a holy break, and soak yourselves in the divinity of the place, which houses the Goddess herself.